Anyone can put on an event. But what about an event that mirrors your personality and values? That tells your story in the way it deserves to be told? That feels fresh and inspired? That uses innovative design to reimagine the traditional? And creates memories to last a lifetime? SPARK GROUP is a design, management, and production company specializing in events, visual merchandising, and custom elements. We are a group of industry professionals who strive to create innovative environments and perfectly executed experiences. In transforming small moments into lifelong memories. Every event is a one-of-a-kind story waiting to be told. In celebrating life’s biggest milestones with joy; they don’t happen everyday. When the brightest creative minds come together, anything is possible. The biggest ideas often start with the tiniest of sparks. Let us help you find your SPARK! Whether it’s a sophisticated celebration of 500 people or a casual, intimate gathering, our weddings have one goal: to be a unique expression of your relationship. We understand that every couple has a different love story and it’s our job to tell it as creatively as possible. From custom décor and inspiring food to lively entertainment and dramatic lighting, we customize every detail to bring your personality to life. Celebrating a child’s passage into adulthood can be a profound experience for parents and children alike. Parents are often overwhelmed by the need to balance the tradition of the service with the joy of the celebration. We guide you through all of the twists and turns of the planning process to build a celebration reflective of your family’s values and your child’s personality. With so many choices, we help you decide which personal details will make the biggest impact. At the end of the night we want you, your guests and especially your child to remember the pride and happiness they felt for years to come. Whether it’s a summer party, 40th birthday, baby shower or retirement party, life’s milestone moments are worth celebrating to the fullest. We specialize in creating one-of-a-kind celebrations that reflect your lifestyle and sensibilities. We focus on the details like invitations, entertainment, the menu and décor so that you and your guests can focus on having fun. Expect the unexpected—we love an element of surprise. Whether we are working with a nonprofit or a Fortune 500 company, we create engaging experiences for our clients and their guests. 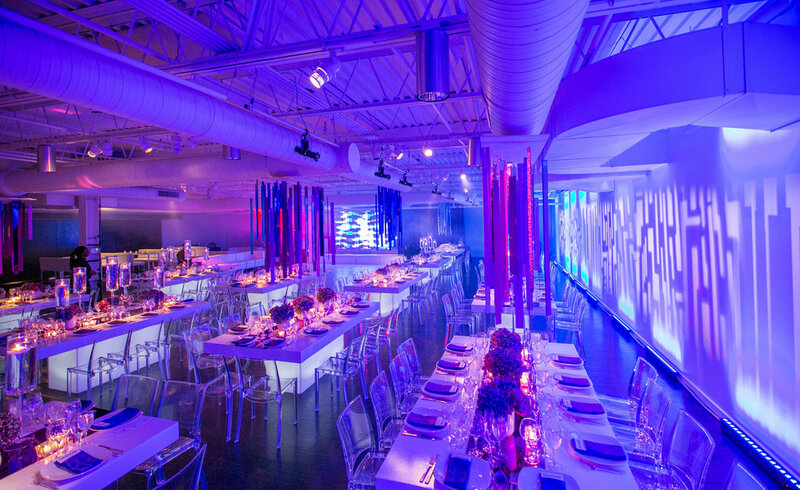 From conception to execution, we infuse each event with fresh ideas, inspiring food and memorable entertainment. Our production team makes this possible by lending their vision, skill and theatricality to each event. Over the years, we have had the pleasure of working with Macy’s, Bloomberg, Johnson & Murphy, Allstate, PRG Scenic Technologies, PURE Insurance, and CSH Greenwich to name a few. Let us help you find your SPARK.